I'm always looking for travel-related websites or blogs that can bring valuable information to my readers. When I find one I put a link to that website or blog in the Travel Links Page. I really think this is the best way to give my readers the best value for their time in this site. So, if you have a blog or website, enjoyed this site and think it may be a valuable resource to your readers, you can link to Lisbon Tourist Guide. I would appreciate it very much! If you put one of this links on your site or if you like to put a link to your blog or website in the Lisbon Tourist Guide, I would appreciate it if you contact me and let me know. Lisbon-Tourist-Guide.com - Discover the Great City of Lisbon, Portugal with the help of a local friend! <a href="http://www.lisbon-tourist-guide.com" title="Lisbon, Portugal" target="_blank"><b>Lisbon-Tourist-Guide.com</b></a><br> Discover the great city of Lisbon, Portugal the best way - with the help of a local friend! Lisbon Tourist Guide with essential travel information, the best tips and advice from an insider's point of view. Discover the great city of Lisbon, Portugal the best way - with the help of a local friend! 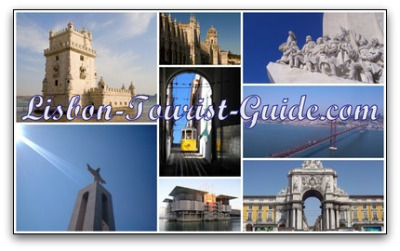 Lisbon Tourist Guide with essential travel information, the best tips and advice from an insider's point of view. Let's give our readers the best information available in the Internet!